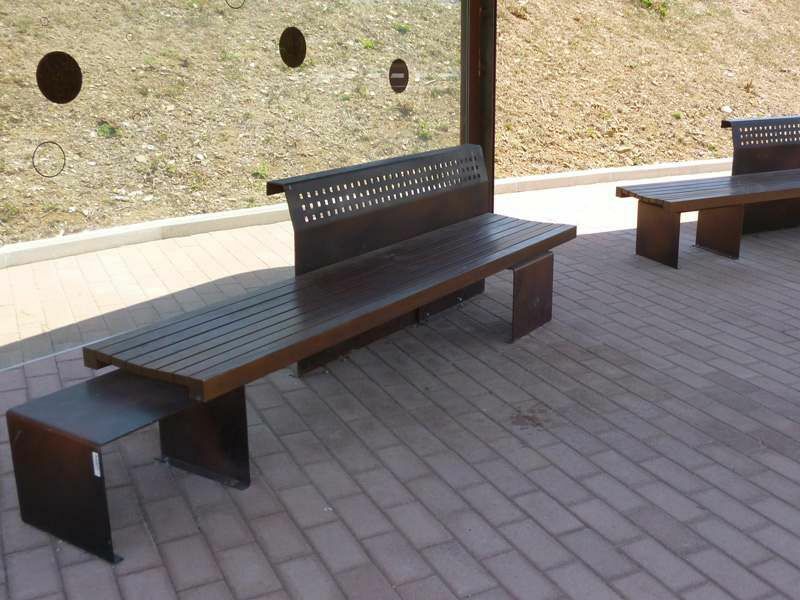 Version: park bench with back rest. Frame: 6 mm steel sheet galvanized. Powder coating: RAL colour to choose. Seating and Back-rest: hard wooden slats untreated or treated. Fixation: fixed in the ground, surface mounting, free-standing.